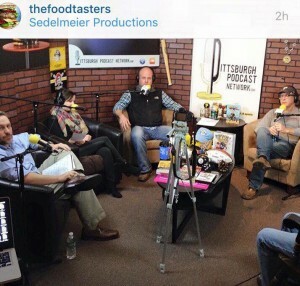 — Recorded at the Pittsburgh Podcast Network studios at talent network, inc.
• 02:22 Tasha or Tori Segment. 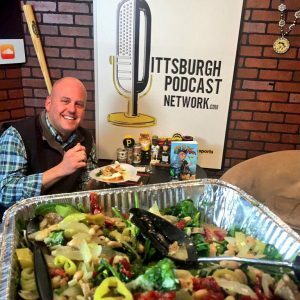 This episode, we have Tasha from TheFoodTasters.com who brought some Greens and Beans from Matteo’s Restaurant in Lawrenceville. You’ll probably smell the garlic through your headphones. What’s the history with Matteo’s? 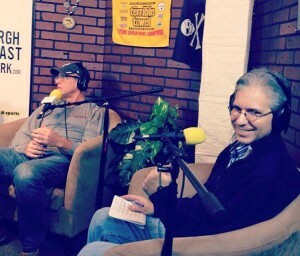 We talk to 3 people, a Saul Markowitz, Tom Musial and Kate Rekrut about their Christmas, Ukrainian Orthodox Christmas and Chanukah controversies. Like…why can’t we get one spelling of Chanukah? Tom wants to trade to get dreidel. Kate tells us why Ukrainian Orthodox is celebrated…because they like to party extra hard! • 18:55 A call from Santa…how does he know about the dance club, Blush?